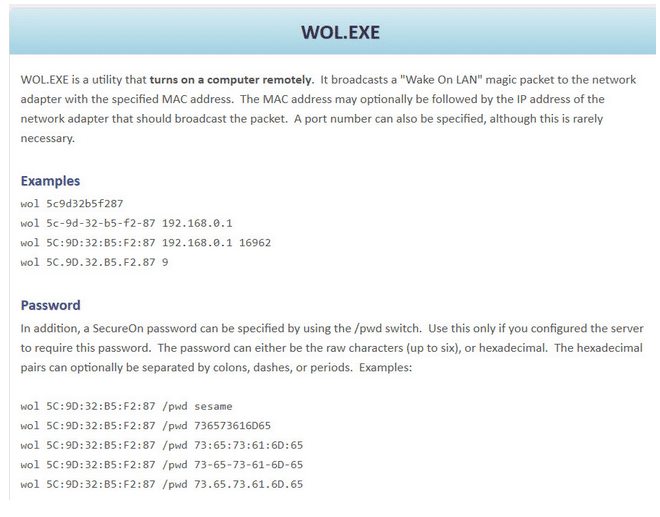 Gammadyne’s Free WOL utility is another command line tool vs. a GUI version. 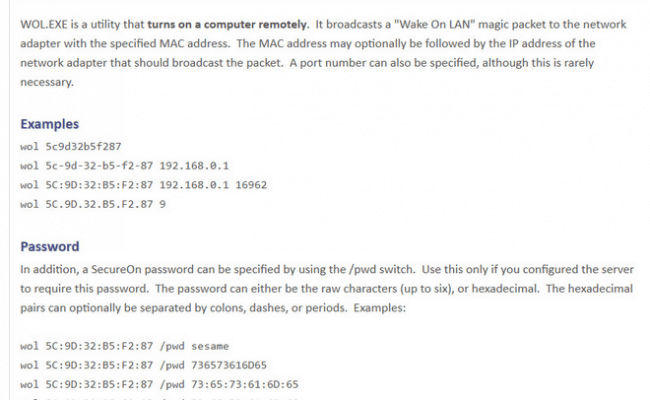 This utility allows you to turn on a computer remotely again, using Wake On Lan protocol. For Interfaces that have SecureOn enabled, you can specify a password as well as a password reset.